Weekly Famitsu has published their Yoshi’s Crafted World Review review within the Japanese gaming magazine’s illustrious pages this week, delivering the first verdict on the upcoming Nintendo Switch exclusive. That has seen their Cross Review, a panel that is comprised of four reviewers that each provides their own individual score, award the game with 37 out of a maximum possible score of 40 – which, broken down, saw it receive three 9 and one 10 scores. 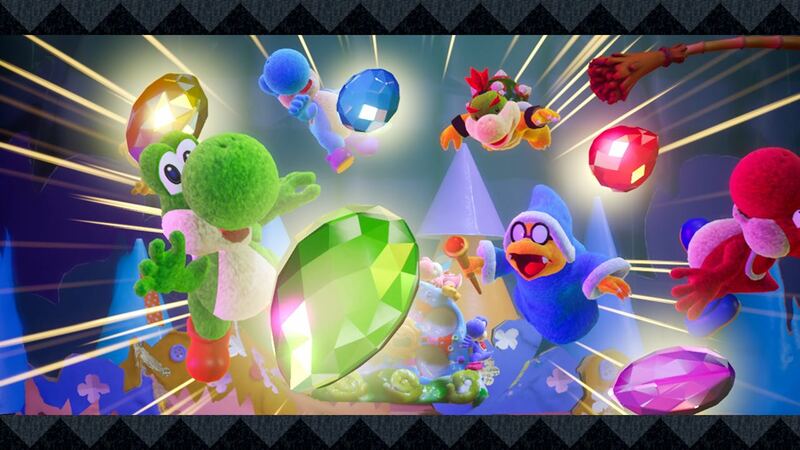 In Yoshi’s Crafted World, you will have the chance to explore a big world that’s crafted from household items like boxes and paper cups, solving puzzles and discovering hidden treasures in the themed stages that you wander. That can see you rafting, racing solar cars, tearing through the sky on a plane, or experiencing many other wild and surprising gameplay sequences. These stages can also be flipped, letting you play them backward to provide new perspectives and the chance to find Poochy-Pups that are hiding around the course. And, of course, there’s the chance to team up with a friend in two-player co-op. Yoshi’s Crafted World will release exclusively for Nintendo Switch worldwide on March 29th.